An extremely rare opportunity to purchase one of only four, brand newly built, detached properties, privately located adjacent to the beautiful Farnham boating lake and approached via a long, private driveway from Farnham Lane. Each property has unique design features from glazed links to balconies and each has large, enclosed gardens. The development offers great privacy and security with gated driveways and intruder alarm systems. Buyers will have the unique opportunity of owning bespoke, design led accommodation with extremely high quality fixtures and detailed fittings throughout. 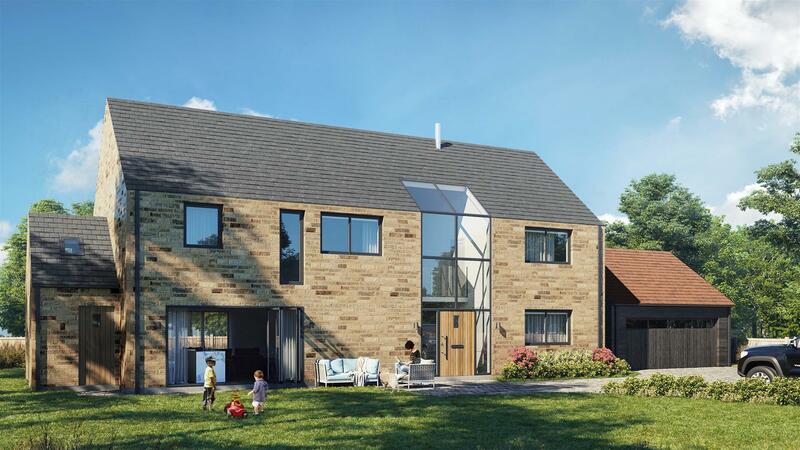 The contemporary homes are constructed from Yorkshire stone, each property will have the benefit of the latest, full building regulations and a 10 year Premier Guarantee. Every detail has been carefully designed and these properties offer the very latest in design and quality of life. Located on the edge of this pretty village the properties are situated just outside the historic market town of Knaresborough, with its rail link and river attractions, as well as a regular market and excellent shopping. 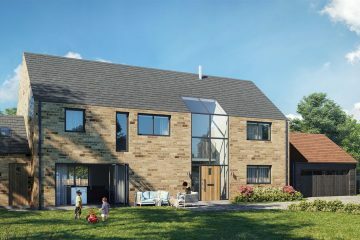 The development is ideal for commuters wanting access to the motorway network, being within easy reach of the A1 corridor and A1(M), whilst still enjoying the beautiful Nidderdale countryside. A short distance away, Harrogate has excellent shopping, restaurants and night life, the fabulous Stray, the Valley Gardens and the railway station connecting to Leeds and York. Farnham could not have a better location to suit a variety of lifestyles. Full height glazed entrance and feature glazed link. Large bedrooms with en-suites to master bedroom and guest suite. Balcony with glazed balustrade overlooking Farnham boating lake. High quality, fully tiled bathrooms and WC’s. Living rooms with contemporary natural fuel fireplaces. Fantastic multi-use garden room / additional reception room. Integrated kitchen appliances include; fridge, freezer, dishwasher, induction range hob, oven & microwave. Modern flooring throughout including large format porcelain tiles, contemporary engineered timber and high quality carpets. Fully fitted utility rooms to match kitchen units. Entrance hallways with feature lighting and storage solutions. Smart metering and home automation linked to mobile device. Video door entry and security systems linked directly to mobile device. All units will be EPC B rated delivering highly energy efficient homes with underfloor heating and insulation. High quality external landscaping with planting and paving. Full landscaping and planting across the site and in communal spaces to created a landscaped, ‘gated community’. Large double garages to three of the properties with electric car charging points installed as standard. All properties are connected to high speed fibre optic internet, with comprehensive internal data strategy. The internal images shown are an indication of the type of quality of fixtures and fittings to be included. Once the final choices have been made this brochure will be updated.